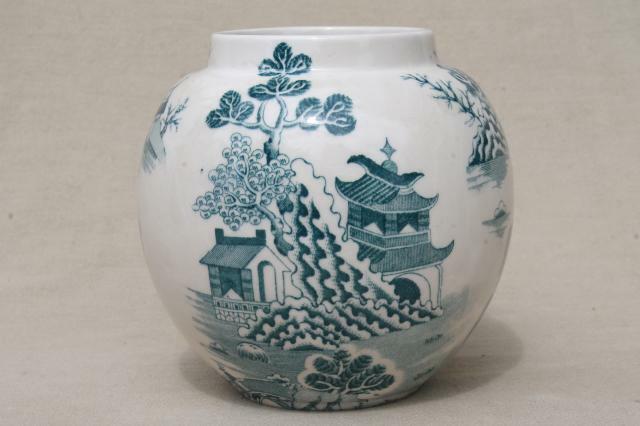 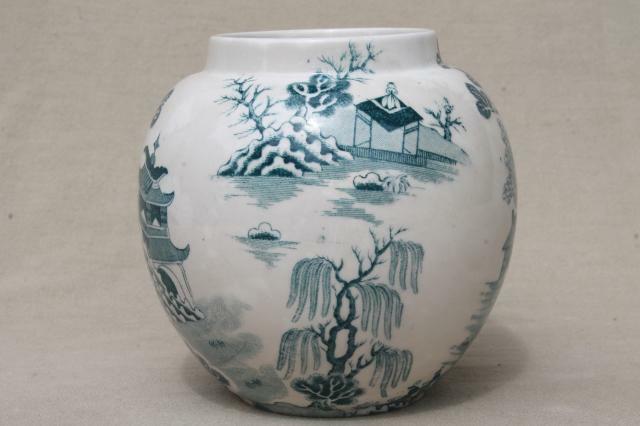 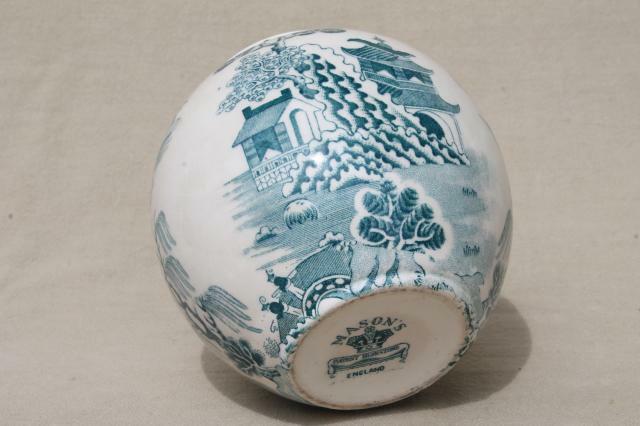 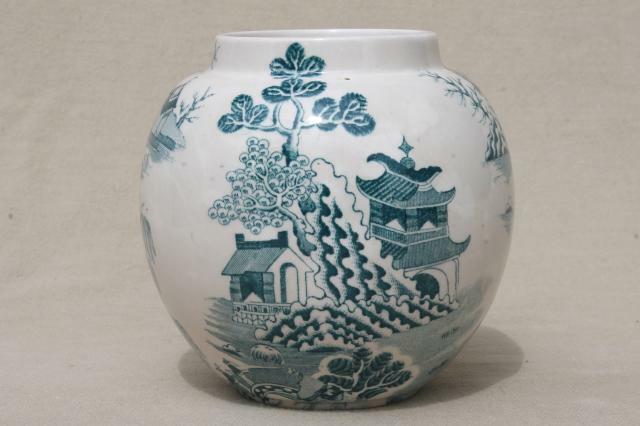 Unusual green willow pattern china vase with a ginger jar shape, marked Mason's Patent Ironstone - England. 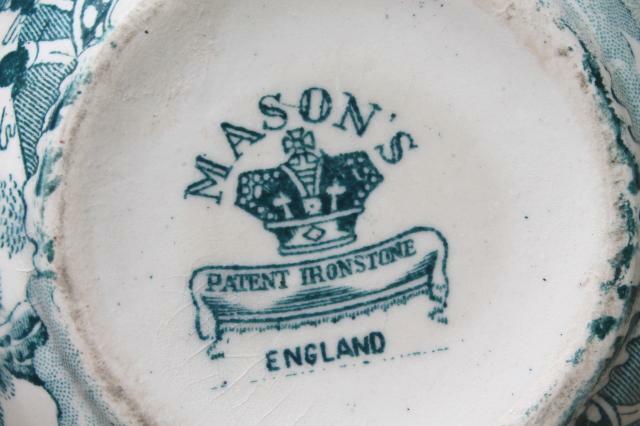 This version of their mark is probably early to mid 20th century. 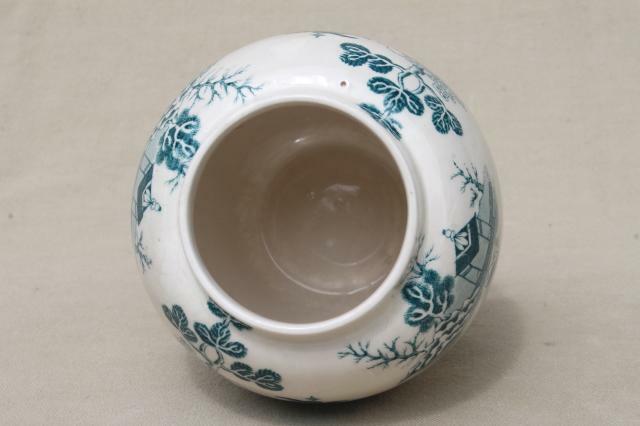 The jar is 4 1/2" tall, clean and in good condition without chips, cracks or staining.